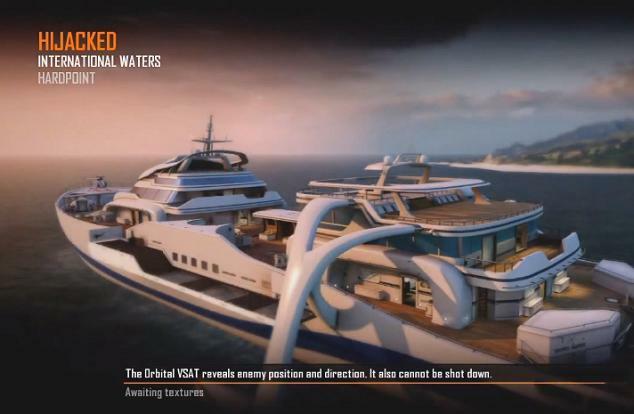 Black Ops 2 ships with a total of 14 maps, namely: Aftermath, Cargo, Turbine, Yemen, Overflow, Hijacked, Express, Drone, Meltdown, Carrier, Plaza, Promenade, Standoff and Raid. 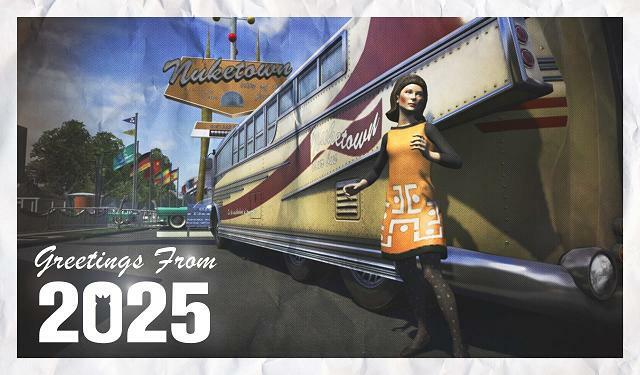 Anyone who pre-orders the game will also be able to download Nuketown 2025 at no extra cost. Aftermath is set in downtown Los Angeles. Expect close engagements in and out of the ruins resulting from countless MQ-27 Dragonfire Drone attacks. Cargo is based in a Singapore port. Do battle in, around and countless freight containers. Yemen, as the name would suggest, is set in the urban streets of Yemen. Expect tight alleys, which will lend themselves towards use of shotguns and SMGs. A little over a month later, we were treated to Overflow, Express & Hijacked at Eurogamer 2012, which took place at Earls Court between 27th & 30th September. Overflow is based in the streets of Peshawar, Pakistan. The urban environment should provide a nice mixture of long and short range combat opportunities. Sadly we suspect this one will be a campers paradise. Express reminds us of Terminal from MW2/MW3. Set in a Los Angeles bullet train station, there will be a mix of medium and long range combat up and down the tracks. This has the potential to be a hit with snipers. 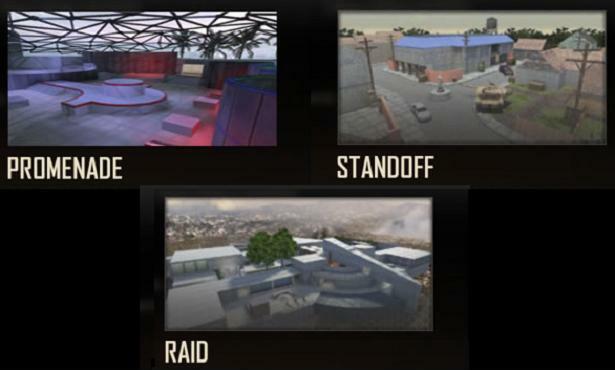 The majority of footage to date has been set on Hijacked, which we suspect will be the most popular multiplayer map on Black Ops 2. Set upon a luxurious super yacht, Hijacked provides a mixture of close quarters engagement, choke points and long lines of sight. 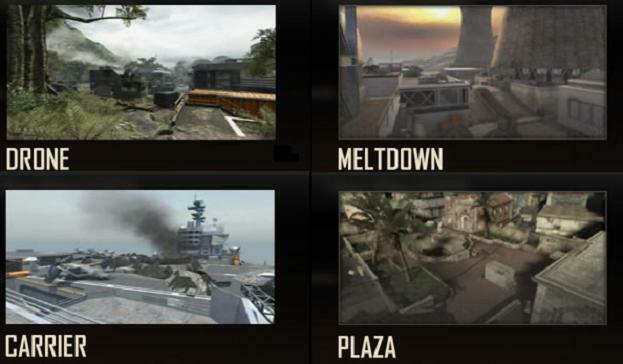 Many of those who have been lucky enough to play Black Ops 2 already have commented on the fact the maps “play small”. Whilst they might not necessarily be comparable to Nuketown in terms of physical size, players find themselves in combat within a few seconds of spawning in for the first time. Obviously this feedback is based on the seven maps listed above. We hope that the gameplay will be just as frantic in the others. Drone: a hidden drone facility in the heart of the Mynamar jungles. Great long engagements down the centre and fun close quarter fights throughout the facility. Meltdown: a Pakistan based nuclear power plant. Battle for control of the nuclear cooling tower and the surrounding facilities. Carrier: set atop a Chinese super carrier. Open engagements on the deck with great close quarter fights through the hull. Promenade: set on a floating resort in middle of Indian ocean. Tight corners and angles throughout. Standoff: based in a border town between China and Kyrgyzstan. Classic engagements and destinations to fight over. Raid: prepare to fight throughout this hillside mansion in the Hollywood Hills. Expect hectic close quarters engagements. Nuketown was a massive hit in the original Black Ops and Treyarch have brought it back for the latest instalment in the Call of Duty series. We’re a big fan of remakes, such as COD 4’s ‘Crash’ in MW2 and MW2’s ‘Terminal’ in MW3, so we’ll be looking forward to this one. Treyarch have confirmed that Nuketown 2025 will feature as a standard multiplayer map as well as a location for the all new Zombies game modes. Don’t forget, this map is available as a free download for anyone who pre-orders Black Ops 2. Which maps are you looking forward to playing? Let us know in the comments!